The Mossmouth Forums > Games > Spelunky > Spelunky Support > What... The... HELL! Yeah this happened. Died on an Ice Level to get into the Moai head. 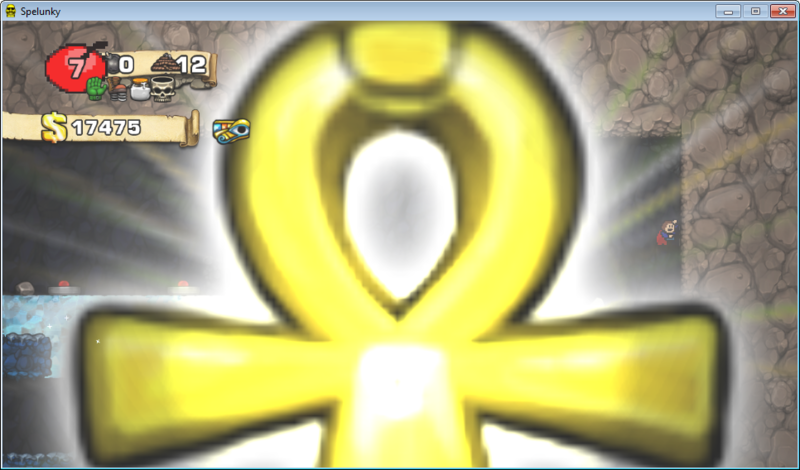 I was teleported back to the beginning, Moai was opened but I wasn't inside. The Ankh stayed there and started growing and growing. I have no idea what caused this. The thread even has similarly descriptive title. ...And the face on your character(The Kid), looks like he is really gotten mad. So you bumped it with nothing useful to say?